Ours' is a coveted organization that is engaged in trading, supplying and exporting a qualitative array of Cctv Camera. The range offered by us is manufactured keeping in mind the exact requirements of customers. Excellent quality material is used in the manufacturing process so that our range is in compliance with international quality standards. In our range; we offer Wireless IP Camera, Smoke Detector Camera, Pin Hole Camera, Zoom Camera, Wide-Range Camera and many more. 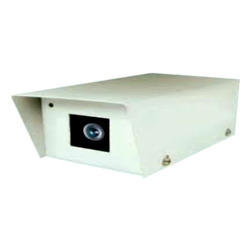 We are an esteemed organization that is engaged in trading, supplying and exporting a vast assortment of Metal Camera. The offered range is manufactured using optimum-grade material that is sourced from reliable and trusted vendors of market. Available in variegated specifications, these products find application in security and surveillance industry. The Wide-Range Camera 180/360 degree-View, a new type of omni-directional camera equipped with a fish-eye lens, is a single camera that provides a 180° horizontal angle of view, and is thus able to capture images that are almost completely free of blind spots. Outstanding lens performance has been achieved along with a class-leading wide aperture of f/1.7 Proprietary image processing technology corrects any residual distortion in captured images to generate more. Made available by us is an incredible array of Zoom Camera. Sourced from authorized vendors of the market, our products are in adherence with international quality standards. All our products are extensively used for security purposes in apartments, showrooms, banks and public places. Besides, we assure that the consignments are timely delivered at clients' destination. By: Komansu Electronics Pvt. Ltd.